Bill C-78, An Act to amend the Divorce Act had its first reading on May 22. It is now in Committee with witness presentations underway. Everyone agrees that government reforms on divorce law were necessary, as Canada’s Divorce Act has not been re-evaluated since it was passed in 1985. Given the rapid pace of socio-cultural change in the interim, it seems more like a century ago than a mere 33 years. Many of C-78’s proposals are to be commended: replacement of the polarizing “custody and access” terminology with “decision-making responsibility” and “parenting time;” encouragement of non-adversarial dispute resolution processes like mediation; explicit recognition of family violence considerations; explicit provision for the voice of the child to be heard; facilitation of contact for grandparents and family members; provincial child support recalculation services; more efficient inter-jurisdictional procedures; and incorporation of international law commitments into domestic law. But there is a divorce “elephant in the room” that C-78 will do nothing to banish. The elephant is the outmoded approach to the establishment of custody of children after separation in cases where parents cannot come to a mutually acceptable arrangement. Shared/Equal Parenting means children spend literally equal, or near-equal time with each parent, unless a parent is a demonstrable risk to the child. This is not the same as “Joint Custody,” which is a legal term. Under its rubric, some decisions about the children are made jointly, but they still reside with one parent, with the other having “access” only. A political hot potato, its recommendations were not implemented by the then-Liberal government, after which an incoming Conservative government paid lip service to Shared Parenting, but failed to act on it and, politically speaking, the report sank like a stone. For many observers, therefore, C-78’s proposed changes appear to be more like “housecleaning” than the substantive renovation required on the core issue that affects separating couples the most – emotionally, psychologically and financially – and which they feel should have been at the heart of the amended act. So the struggle continues. About 10% of separations involving children are contested and end in winner-takes-all litigation – i.e. with sole custody awarded to one party (“awarded” is a weasel word: in fact what happens is that the child is “taken away” from the other parent). Typically, a father will want shared parenting – that is, equal time for both with children – while the mother prefers that she have sole custody, with “access” granted to the father one weekday and every other weekend. This model is supported by two groups, both of whom are stakeholders and not disinterested: most family law lawyers who benefit financially from litigation, and feminist groups who frankly advocate for the paradigm that tends to reward women, in the belief that fathers are less important to children than mothers. 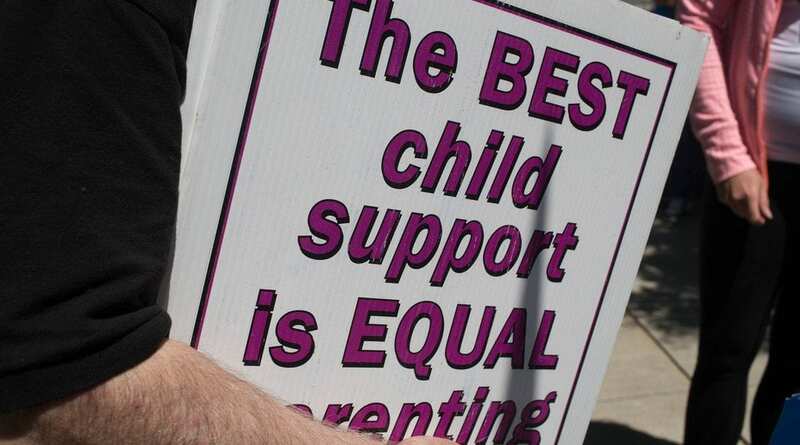 In the belief that fathers are every bit as important to their children as mothers, I have wholeheartedly supported activism around Shared Parenting for many years. Most Canadians agree with me. Social science is also unequivocally on the side of Shared Parenting as the model that aligns with the best outcomes for both children and parents. Edward Kruk, professor of Social Work at the University of British Columbia, has long researched the iniquities to both non-custodial men and women in our winner-take-all custody arena. He finds that less than 40% of their time spent with a parent puts the child , and eventually the parent, at risk for loss of a natural child-parent bond. Fathers today are far more deeply engaged in caregiving and the minutiae of children’s lives than they were in the past. Conversely, women are far more likely to work at demanding jobs than in the past, and less likely to be stay-at-home moms. Everyone agrees there has been a seismic shift in gender roles and expectations over the last few decades. As one consequence, hands-on fathers today are more deeply affected when they become visitors in their children’s lives. They feel the loss more existentially than fathers used to. It is no coincidence that suicide rates spike for men who have lost custody of their children. On Nov 5, Jody Wilson-Raybould, Canada’s Minister of Justice, was the first C-78 Committee witness (as is customary), responding to scripted questions from her fellow Liberals. ii) that the best interests of the child (which neither the bill nor Wilson-Raybould elsewhere defines) are something that fits quite well with the deprivation of significant time with one parent, even when both parents are fir and willing to care for the child. Both presumptions are wrong, as is demonstrated in social science research and the outcomes in those jurisdictions with shared parenting as the default. What is good for the child is generally also good for parents, and greatly diminished time with either parent is harmful to a child. Wilson-Raybould is, of course, correct to note that all “family situations” are different. In some families, parents are equally hands-on, in some they are not. In some, one parent is more permissive, one is more authoritative. In some, one is frequently absent on business, and one is an at-home parent. So what? We do not have family-court judges marching into these intact homes, assessing those differences and declaring one of the parents superior to the other and therefore deserving of full authority over, and more time with, their own children. Children are perfectly accepting of, and adaptive to, different parenting styles. In intact homes, children do not love their parents according to the attractiveness of their personalities or their competencies. Children love their parents equally because that is the nature of things. And when their parents separate, these children still love both parents, and want equal time with each, if they cannot have both all the time. So why, apart from cases of abuse, should “different situations” trigger this consequential scrutiny after separation and result in one parent – let’s be realistic; usually the father – end up disenfranchised from his former parenting role, often resulting in the loss of his own child? Arizona and Missouri have already adopted Shared Parenting as a rebuttable default, and twenty more states are giving it serious consideration. It is time – past time – that the Canadian government begins to look at the issue of custody as a social and cultural, rather than a legal and an ideological issue. If the government did so with objectivity, it would have to admit that evidence, the will of Canadians and even the most rudimentary principle of fairness all point to shared equal parenting, the norm in intact families, as the logical and ethical model for serving the best interests of children and parents alike in post-separation families.